Jason Hartman: Hey it’s my pleasure to welcome Rick Mulready to the show. He is an expert on social media, however he has a different angle on it that most. I mean there are many, many people out there that claim to be experts on social media, however he has worked for some of the largest most familiar brands in the world doing social media, and so his angel or tactic is how to have big brand success on a small budget with your social media accounts. Rick welcome, how are you? Rick Mulready: Good Jason, thanks for having me on today. Jason Hartman: Good, it’s good to have you. And you’re coming to us from Los Angeles, California, my hometown right? Jason Hartman: Tell us a little bit about what it is you do and what your social media philosophy is. Rick Mulready: Sure. So just to kind of make a slight correction there, so when I was working with the big brands I started out with working with AOL and Yahoo and so forth, and that was really before social media started it’s rise in popularity if you will. So I was working in sort of more of the traditional internet marketing, internet advertising space. And then over the last several years, that’s when I started to, while working at those companies, I started to see the advantages that social media brought for small businesses. And you know at those big brands that I was working at small businesses, there was sort of a budgetary cutoff where we at the big brands wouldn’t work with the smaller businesses, unless they were gonna spend a certain amount of money. And I understand that because you have to make sure that all the work that you’re putting in is gonna be worth it. But that sort of dollar figure cutoff if you will was pretty significant. So it cut a lot of small businesses out of working with those big brands. And that’s right about the time where I started seeing the importance of Facebook, Twitter was just coming on to the scene and so forth, and I was seeing the opportunity there that small businesses had that they could market. They could use these platforms to market their business without any budget. And so while working for these brands I was also working with some of the biggest brands in the world while I was at those companies. And so earlier this year, actually about a year ago I should say, I start to sort of marry the two. What I mean by that is I really started focusing on Facebook marketing, but then started to expand it. And I sort of had an epiphany when I was on a flight last Christmas when I was heading back to the east coast, and I decided I would start to marry the social media aspect for small businesses. But, as you explained earlier Jason, looking at it from a perspective of what the big brands are doing well in social media and then how small business can model and apply what’s working well for those big brands for their small business. Rick Mulready: I don’t know why but I knew you were gonna say that. Jason Hartman: You just knew it. Most people probably would consider like they want to learn the secrets of these highly viral like that that have done it on a shoestring budget and just sort of like cracked the code or hacked the system for a whole new way of marketing. And they wouldn’t really consider big corporate America to be tremendously innovative. At least not on the marketing angel. Maybe on the products they create are certainly great, and the services they offer. But you know they have such big budgets it doesn’t really force them to be so innovative maybe right? Rick Mulready: Right, and that’s a great point. And what I’m looking at whenever I speak to these brands on a weekly basis for the inside social media podcast. And what I’m looking for is what I’m looking for those innovative brands. I’m looking for the brands that are doing cool things so that we can take you know what’s working for them and sort of model and apply it to a small business perspective. And the reason I’m doing that is because they do, like you just said, they do have the resources, they do have the manpower, and you would be surprised though that at a brand like, I don’t know, like GE for example, or NASA. You know both of whom I’ve had on the show. And NASA really does not have any budget to work with other than the salaries of the people who are working on the team, which I found very, very interesting. But, they’re all doing very cool things and very, when you think of a government agency, regardless of whether it’s NASA or not, I don’t necessarily think that they’re gonna be on the cutting edge or innovative of innovation. But they are doing some really, really cool things, and you know again, not every big brand is gonna be doing those cool things, but there are a lot of brands out there who are doing some really, really smart things when it comes to social media. And really Jason at this point social media is wrapping up into the overall marketing of a company. It’s no longer just sort of sitting by itself, you know it doesn’t sit in a silo, it’s sort of your overall strategy. And it’s becoming less of a conversation about just social media and more of a conversation of where does social media fit into a company’s overall strategy. Jason Hartman: Yeah right. Okay well tell us more. Jason Hartman: Yeah it’s got to be engagement right? 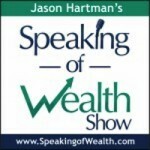 Jason Hartman: That’s the key word that you’re probably going to agree that you’re using right? Rick Mulready: Absolutely. It’s like sitting down for coffee with somebody. You know you sit down and you ask them how their day was and what’s going on with them. And you know do they have any challenges that you can help them out with. You try to add value to them if they’re your friend. Social media is the exact same way. And that’s where I think a lot of businesses run into problems is that they start talking about their sales, you know they get all salesy and they start promoting things and that’s all they’re doing. Jason Hartman: It’s really sort of the spam mentality, let’s just throw it out there. It’s the interruption marketing mentality to use a self golden term. Just throw it out there and the world will beat a path to our door. It doesn’t really work that way in social media. It doesn’t work that way anymore actually. Rick Mulready: Not at all, but it is a very effective platform though for selling, and it’s the selling is sort of the secondary benefit from social media. What I mean by that is just what we were just talking about is that you build that relationship first and you get your target customers to know, like and trust you. And once that’s established then you can start to sort of sprinkle in those sales messages and start to get sales or if you’re driving to, I don’t know if you’re building an email list, or whatever it may be. You’re offering discounts on something, that’s when you can start to do that. But you have to really use social media to build a relationship with people first before doing that. Jason Hartman: Yeah very good points. Rick share with us any case studies or examples on what the big companies have done that now with the access to small companies, and even the solopreneurs have that they can do. You know what can we learn from what the corporate world has done. Any particular engagement case studies you want to share? Rick Mulready: Sure, there’s two that comes to mind. One of which is more of a recent conversation I just had. I just had Ben and Jerry’s, the ice cream brand on the show. And I was talking with Mike Hayes who is their digital person who heads up their social media here in the state. They’re just finishing this campaign up, and it’s called City Churned. And what they did was is they chose 5 cities, and I’m gonna try to name them off the top of my head; Seattle, Portland, San Francisco, New York, and Washington DC. And what they did was they sort of crowd sourced ideas from each of those cities to create a brand new ice cream flavor that reflected sort of what that city was all about. So Portland might incorporate some sort of coffee flavor, you know that sort of thing. Jason Hartman: I thought Portland would actually put some granola in it or something. Rick Mulready: Yeah the coffee would come from Seattle. Jason Hartman: Yeah, or maybe even a little marijuana. Jason Hartman: It’s the engagement, it’s interactive. Jason Hartman: That’s what I was gonna ask you next. How do you do that? Rick Mulready: Yeah, you’re not gonna be necessarily taking into account like how many cabs are going uptown in New York City which is one of New York’s voting mechanisms. You’re not gonna be doing that. But the point of that is is that in what any small business can do using social media is crowd source feedback from their customers. And what that does is a couple of things. Number one it engages your customers, like you were talking about before. But it also makes them feel part of it. Jason Hartman: Yeah like it’s authorship, it’s like pride of authorship. Rick Mulready: Exactly. If I walk into my local Whole Foods and I open up the ice cream freezer door and I notice a pint of ice cream that I personally you know sort of helped put together, you know like I voted on that flavor, I’m gonna be really inclined to number one, buy that, and number two, tell my friends about it. Jason Hartman: Oh yeah, no question about it. But again, just like you said Rick, what does a small business do. I mean you know very few small businesses are creating their own ice cream. When you said Ben and Jerry’s I thought the advice was gonna be tell you employees to take naps in the afternoon. I remember that’s what kind of made them famous. Pride of authorship, like you know I asked you if you had a book and you said you were working on one. Jason Hartman: One thing that I found kind of intriguing, although I don’t exactly know how he did it, but Robert Kiyosaki , his last book was sort of a crowd source book. That was kind of like an interesting concept. So maybe you could have people contribute to the book. I don’t know, what are some other ideas there? Rick Mulready: Absolutely right. And all crowd sourcing is is it allows you to take in comments and feedback and ideas from your customers and use those ideas and feedback and so forth in one of your products or services. And it’s just, like I said, it extends that connection that your customers have with your business. And you either use social media for this, if you have people on your email list, you can email them and ask them for their ideas. I don’t know why this just popped in my mind. I was in Bolder Colorado earlier this year, and I was in a Starbucks and there was sort of a change jar on the counter next to the register. And it was sort of split down the middle and it was a funny picture of…I don’t know. One side was like a picture of a hipster and I forget what the other picture was, but it was basically like you voted. You put your change in whichever side you voted on. Oddly that’s a form of crowd sourcing, because you are getting feedback to the business. Now granted they were just having fun with it, but if it were more something like they would actually do something with that information and maybe they’re creating a new coffee or something like that. And then this doesn’t have to be Starbucks, this can be any local coffee shop for example, or any business for that matter. If you have a physical location when people come in, ask them for feedback on things, and then it’s really what you do with that information that really sets you apart. Because it really is all about taking that feedback and improving your products or services and so forth and this also works, like I said before, if maybe you don’t have a physical location, maybe you just have an online business or something like that. You can email your customs and so forth and ask them for their feedback. So the crowd sourcing is just basically the fancy term for getting feedback and incorporating the ideas and so forth from your customers and fans, and then using that into a product or service that is gonna benefit those fans. Jason Hartman: Yeah right, but they need to be fans or otherwise they won’t have government support. Rick Mulready: Yeah exactly. And anybody can do that, Google hangout is completely free. And so the hangout is a great way to connect with your…whether it’s a customer or fans or whatever, and share, and just share information. You can do a lot of Q & A’s like NASA does. But that’s another example where it does not take any money to be really successful using these social channels that we have available to us. Jason Hartman: That’s definitely true. Do you have one more idea along these lines, and it doesn’t have to be direct social media as you mentioned Rick, but any internet marketing, maybe in the broader sense that you want to share? Rick Mulready: Well from what perspective? Jason Hartman: Engagement, getting more likes or followers, what type of content to put out there. Just anywhere you want to go. I just thought before you go I’d see if we could get one more tip out of you. Jason Hartman: And, but don’t forget the communist rent control system. I had to throw that in. I love picking on Santa Monica for that. Rick Mulready: But that’s a good point. You could let people know about that, you could educate them. And then as you do that, and we’ve talked about it before, but the more value that you add then you can start to sprinkle in oh you know there’s a property listed in whatever neighborhood. But going back to Facebook there, it is all about what type of content that you can offer there that is of highest value to your customers but do it in a way that aligns with your business. And because Facebook is such a visual platform, do you want to be visual on there, think about images, think about videos and so forth, you know Facebook owns Instagram. So how could you use maybe Instagram, both from a photo perspective and they also have the 15 second videos and so forth. And all this stuff can be done with your smart phone, it doesn’t take, like I said before, a full on production. So the more that you do that type of content, that’s when the engagement will increase and then your lights will increase and your fans will increase because you’re putting up the type of content that people want to see. Jason Hartman: Absolutely, very good points, very good point. Hey tell us a little bit about your podcast. Jason Hartman: Why did you say that by the way, because I say that to everybody, start a podcast. Rick Mulready: Well I still really don’t know much about audio. But I know a heck a lot more now than I did then. But I really knew nothing about audio, I just didn’t know what it took to create a podcast, I didn’t understand it. And then the other thing too is that I was like man I have to sit behind a mic, I never done that before. And I always hate hearing my own voice. And a lot of people don’t like hearing their own voice, but I really hated it. But I reached a point where I interviewed Ekaterina Walter, who used to be the head of social media for Intel. And I interviewed her, not for the podcast, but just interviewed her for my website, because as I mentioned before I started out really focusing on Facebook marketing, and she had just put out a book called Think Like Zuck, which is sort of businesses practices and sort of thought leadership that Mark Zuckerberg represents. And so I interviewed her for my site, and I got off the interview and I said man that was so much fun. I mean I really had a good time with it, I really enjoyed the interview process, but I also got so much great information that I knew that my audience was gonna love that. And that was sort of the first sort of okay, you know what, maybe you should start thinking about this podcast thing a little bit more seriously. And that’s when I went through my buddy Pat Flynn’s podcasting tutorial which was completely free. I followed it step-by-step, got set up, and yeah I was kind of off and running. And I’m very fortunate in my first three shows were Scott Monty from Ford, Rick Wion from US McDonald’s, and Frank Eliason from Citi. And I’m now 26 shows, I just published my 26th show today, and this show is great. So basically what it is is I interview heads of social media from the most successful brands in the world, and sort of like we’ve been talking about during this show is that we talk about what they’re doing well in social media, but then how small businesses, always with an angel of what small businesses can model what they’re doing in a pliant to their business with little or no budget. And you know I do sort of sprinkle in that “social media influencer”, like I had Gary Vaynerchuk check on, Chris Brogan, Ted Reuben. And you know I just love it, I love the conversations, I love connecting with these people, it’s such great information. The cool thing is too, Jason is that all these brands are coming on because they understand the value that they can add to the small business owner. And you know I just love getting that information out there so that small businesses can prosper. It’s hard enough to be a small business owner, so any kind of information that we can share and make it easier for them, I’m definitely all for it. Jason Hartman: Fantastic. Now was JetBlue a client of yours or did you actually work there? Rick Mulready: Neither. I had Morgan Johnson on the show. And we’ve spoken several times but he’s been a guest on the podcast and JetBlue doing some amazing things in social media especially from a customer service perspective. Jason Hartman: Yeah, I was gonna just ask you about that because I didn’t know what your involvement was with him. But I did that all you can jet pass, the only two years I think that they actually did it, which was a couple of years ago was the last one. And I don’t think they’re offering that. They probably lost money just on me alone offering that deal. I like traveled around for a month, had a lot of fun with that. And I found it really interesting how viral and how popular that was. I mean I was seeing it all over Facebook and of course I was contributing to that, which basically was advertising for JetBlue, and people, there were many Facebook groups and people talking about their travel experiences. I thought that was a pretty good social media hit for them. Rick Mulready: Morgan and his team there at JetBlue they really do an amazing job and they really understand the whole social media space and how to get the most out of it. Like I said before I would say they’re most well known for their customer service, so meaning when someone’s traveling and they come across an issue or have some sort of a problem or something like that, or even when they want to talk about something that’s good that happen, a lot of these airlines get tweeted by people all the time. And JetBlue does such an amazing job in keeping and responding to these people. I believe they’re sort of their first, if I remember correctly, sort of their venture into social media was with a YouTube video, and off the top of my head I don’t remember what was going on and the reason for it but you know that’s sort of how this brand thinks. There was an issue that they needed to communicate to people about. And they said okay how do we do this, how do we do this at scale. And with the type of platform that YouTube is they created a video for it and got the video out there. And so that was sort of their genesis into starting to leverage social media for their brand. But yeah, especially when they do programs like you were talking about, people are gonna talk about that and they really know how to amplify that discussion online in social media so they do a really good job. Jason Hartman: That’s good stuff. Give out your website Rick and tell people where they can find you. Rick Mulready: Yeah absolutely. It’s RickMulready.com. It’s R-I-C-K-M-U-L-R-E-A-D-Y.COM. That is my online headquarters. And the podcast, like we talked about before is called Inside Social Media and that’s on iTunes and all of the podcast platforms. Jason Hartman: Good stuff. Well Rick Mulready thank you so much for joining us today. Rick Mulready: Jason thanks very much I appreciate it. Narrator: Here’s your chance to catch up on all of those creating wealth shows that you’ve missed. There’s a three book set with shows 1 through 60, all digital download. You save $94 by buying this three book set. Go ahead and get these advanced strategies for wealth creations. For more details go to JasonHartman.com.